CHAMPAIGN, Ill., 3/14/19: Despite the record cold air temperatures, soil temperatures averaged slightly warmer than normal this winter. Consequently, the Arctic conditions are expected to have little effect on overwintering field crop insect pest populations. A wide range of air temperatures occurred in Illinois this winter with periods of warmer temperatures in the 60s and 70s and extreme cold where lows fell to the -30s. Overall, temperatures averaged 29.9 degrees, 0.8 degrees above normal for the season. 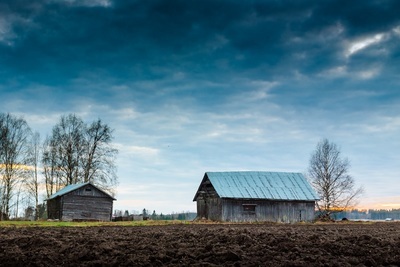 Soil temperatures followed similar patterns, according to Jennie Atkins with the Illinois State Water Survey’s Water and Atmospheric Resources Monitoring (WARM) Program. Soil temperatures at 4 inches under bare soil averaged 36.5 degrees for December, January, and February, which is 1.5 degrees higher than normal and equal to that of last winter. Insects not only overwinter in different life stages (egg, larva, pupa, or adult), but they can also overwinter in different locations, said Kelly Estes with the Illinois Natural History Survey’s Illinois Pest Survey. Some overwinter deep in the soil, whereas others seek shelter in leaf debris, grass, or under tree bark. Regardless of the location, though, insects have adapted well to winter conditions. 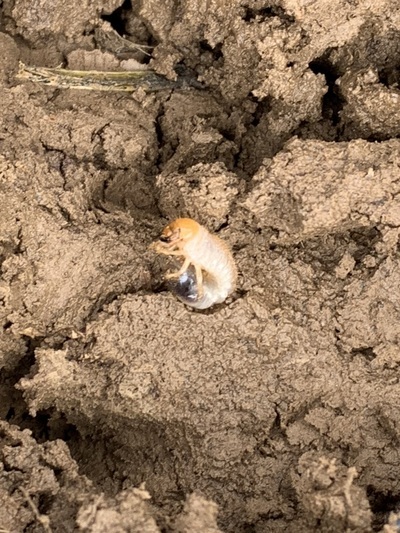 Matt Montgomery, Pioneer Hi-Bred Field Agronomist, confirmed this as he was putting out bait stations on March 12 in Pike County. He found several soil-dwelling insects that survived the 2018-2019 winter, including this white grub. Temperatures rose and fell throughout the season with lows in the single digits and highs in the 50s. The lowest temperatures occurred at the end of January and beginning of February when the state experienced record cold weather. Soil temperatures were below freezing from Jan. 29 through Feb. 2. However, they quickly rebounded to a statewide average of 37 degrees on Feb. 4. Soils have been warming in the second week of March. Temperatures statewide averaged 42 degrees on March 13 with highs in the 40s and 50s in southern and central Illinois. The northern region remains cooler with daily highs in the 30s.